A simple, non-invasive test that detects overgrowth of bacteria in small intestine, a common condition that often underlies chronic symptoms of maldigestion and malabsorption, including bloating, gas, diarrhea, irregularity and abdominal pain. Overgrowth of bacteria in the small intestine is a serious digestive disorder that can prevent nutrient absorption and lead to many health problems. Although widespread, it is frequently unsuspected in cases of chronic bowel problems and carbohydrate intolerance because its symptoms often mimic other disorders. Often this condition is associated with reduced intestinal motility which is a slower transit of food stuffs through the bowels caused by fiber inadequacy or digestive imbalances. Please Note: Patients have the option of a 2 hour or 3-hour SIBO assessment. The 3-hour SIBO profile provides insight into gas levels over a longer period of time, and is recommended for patients with slower gastrointestinal transit or constipation. The patients date of birth. and whether it is a 2 hour or 3 hour test. The Overgrowth of Bacteria test for the small intestine is a Breath Test. The test for the small intestine is appropriate when there are unexplained abdominal symptoms, low tolerance of sweet or starchy foods, fiber, or friendly flora supplements. 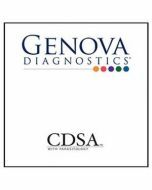 This test for small intestine malfunction is also important for differentiating the cause of Irritable Bowel Syndrome (IBS), the most commonly diagnosed gastro intestinal disorder, affecting about 20 percent of the general population. Studies suggest that as many as 50 percent to 75 percent of people with Irritable Bowel Syndrome have bacteria in small intestine overgrowth as demonstrated by hydrogen breath testing. The test for small intestine functionality measures both hydrogen and methane produced by bacteria in the small intestine. Higher levels of these gases in the breath indicate an increase in bacteria growth in the small intestine. Once overgrowth of bacteria in small intestine has been detected it is then possible to use helpful strategies involving diet, digestive support, use of friendly bacteria or probiotics and anti-microbials that can be used to treat the small intestine bacteria overgrowth. 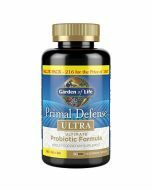 Successful removal of the overgrowth of bacteria in the small intestine has been shown to reduce bloating, gas, diarrhea, and abdominal pain more effectively than many other treatments for Irritable Bowel Syndrome. Because overgrowth of bacteria in small intestine may sometimes manifest silently without any overt clinical signs even those without clear symptoms of gastro intestinal distress may benefit from testing. Without proper detection and treatment unsuspected overgrowth can gradually lead to systemic disorders such as altered intestinal permeability also known as leaky gut syndrome or anemia and weight loss, progressive bone thinning, poor digestive function, bacterial translocation which causes immune dysfunction and toxic overload and malnutrition. Small Intestine Bacterial Overgrowth often mimics acute flare-ups in those with Crohns Disease. What are the Instructions Breath Test for Small Intenstine Overgrowth? 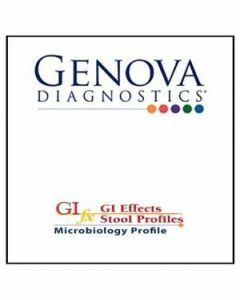 Genova Laboratory offers a very efficient breath test that you can do at home that gives invaluable information as to whether you have an overgrowth of pathogenic bacteria in your Small Intestine. 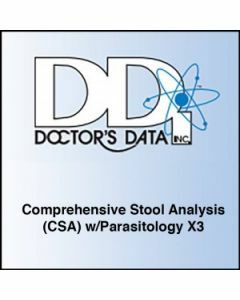 Unlike testing for any overgrowth of pathogens in the large intestine, its not possible to do a home stool test. The breath test is the answer. An overgrowth of bacteria in the small intestine can indicate IBS Irritable Bowel Syndrome or other serious digestive disorders which may lead to the inability to absorb nutrients properly and this can lead to many health problems. To make things more complicated, the symptoms of small intestine overgrowth often mimic other disorders so its hard to detect. The test measures both hydrogen and methane that is produced by bacteria in the small intestine. When there are higher levels of these gases in the breath, it shows that there is an increase in the growth of bacteria in the small intestine. Once the overgrowth has been detected it’s possible to create a protocol of dietary changes and supplementation of probiotics, anti-microbials and other supplements that can be used to treat the overgrowth. Why the Tutorial for doing the Breath Test? People often have trouble understanding the intricacies of preparing for taking the test at home. 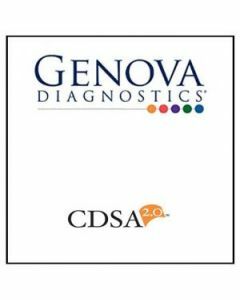 Genova’s new Tutorial Video Takes the Guesswork Out of Specimen Collection. 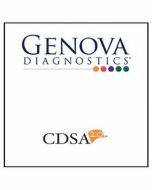 Genova breath test for Small Intestine Bacterial Overgrowth Instruction is a youtube video and shows very simply how to do it. 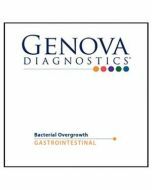 Sample Report of Genova’s Breath Test for Overgrowth of Bacteria in the Small Intestine. Here is a sample report that you receive once the test is done. It’s very easy to understand it and make the evaluation – if the methane and hydrogen gases are elevated, that will indicate that you have a problem with bacterial overgrowth. What is Bacterial Overgrowth of the Small Intestine? Your bloating, gas, abdominal cramps or diarrhea may indicate Bacterial Overgrowth of the Small Intestine, a problem easily diagnosed using a simple breath test. Too many bacteria in the small intestine disrupt the normal digestive process, creating gastrointestinal problems such as gas and diarrhea. Bacteria also compete with the body for nutrients, which can lead to deficiencies of nutrients such as vitamin B12. This condition often escapes diagnosis because its symptoms are common: abdominal bloating and gas and possibly diarrhea within one hour of eating. You may also experience problems digesting dairy products or other carbohydrates. Unexplained weight loss, steatorrhea (fatty diarrhea) and Vitamin B12 deficiency are other clues to bacterial overgrowth. Can bacterial overgrowth be treated? Yes. Once bacterial overgrowth has been diagnosed, a health practitioner can use natural antimicrobials to eradicate the bacteria, relieving your symptoms. Treatment can then begin on the underlying causes to keep overgrowth from recurring. How can a breath test measure bacteria in the small intestine? Your body's digestion consists of a series of steps where food is broken into smaller and smaller parts, enabling you to absorb the nutrients. In the Bacterial Overgrowth of the Small Intestine Breath Test, you take a special drink containing lactulose, a non-digestible sugar. If bacteria are excessive in the small intestine, they will ferment the challenge drink, producing hydrogen and methane. Some of the gas is reabsorbed into your bloodstream and carried to your lungs through capillaries. The breath test looks for increased hydrogen and methane in your exhaled breath to indicate the presence and degree of bacterial overgrowth. With the Bacterial Overgrowth of the Small Intestine Breath Test, you simply blow into a special mouthpiece and vacuum-sealed collection tubes. You can do the test at home. There aren't any blood or urine tests and no mess. The tubes containing breath specimens are sent by prepaid overnight delivery to Great Smokies Diagnostic Laboratory for analysis. Once we receive the test results they will be mailed to you. Many conditions allow bacteria to grow in the small intestine. Take this quiz to determine your likelihood of Bacterial Overgrowth of the Small Intestine. Within one hour of eating, do you often have ? Are you losing weight and don’t know why? Have you been told you have too much or too little stomach acid? Do you take medications for 'heartburn'? Have you had an intestinal parasite? Do you have trouble tolerating starchy foods or dairy products? 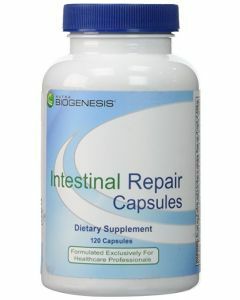 Have you had intestinal surgery? If you answered 'yes' to one or more of these questions, you may have Bacterial Overgrowth of the Small Intestine, a common cause of chronic digestive problems.